Many people cannot pick out Burkina Faso on a map, but the Enactus Munich team saw opportunity to improve lives in the small country. 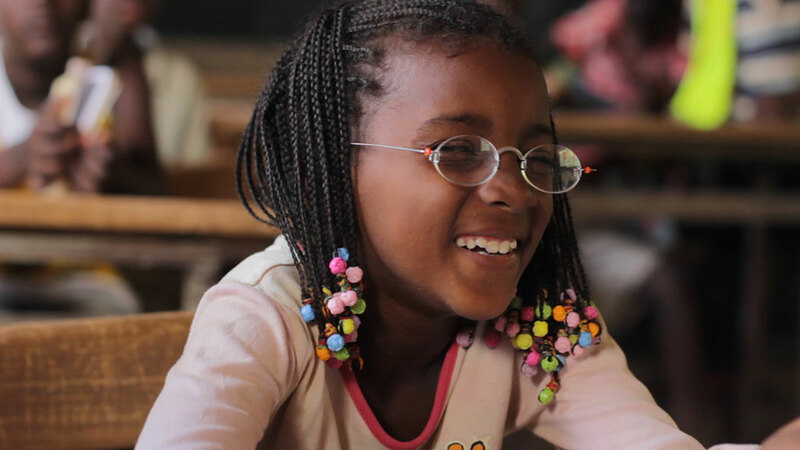 The newest video from the Enactus #seeopportunity campaign features the OneDollarGlasses project in which the team trained micro-opticians to make and sell glasses within their communities. It is estimated that around 150 million people in the world need glasses, but cannot afford them—and that number is thought to be a conservative estimation. This rampant vision impairment can lead to a multitude of challenges, according to project leader and OneDollarGlasses Treasurer and Coach Jakob Schillinger. In Brazil, some people who work harvesting Açaí berries struggle to see into the trees, so they do not know which ones they should climb, potentially wasting their time and energy. He also hears from people from around the world who struggle with reading, sometimes so much that they are brought to tears from forcing their eyes so hard. When the Enactus Munich team learned about these problems, they began to search the internet for affordable solutions. That’s when they came upon OneDollarGlasses, a project named for its goal: to provide glasses to impoverished people that cost only one dollar to manufacture. It is a way of producing glasses created by German inventor Martin Aufmuth. The glasses are made using a special bending machine, steel wire, polycarbonate lenses, a plastic nosepiece and five to seven tools. Two glass beads are also added for decoration and individuality and, if needed, the lenses can easily be changed or replaced. Because of the streamlined method and materials, the cost is kept low and the glasses only take 25 to 30 minutes for a skilled micro-optician to make. Since glasses can be made on-demand in a short amount of time, customers only need to make one trip to the optician. Traditional methods of making glasses are more costly and require more visits to the optician, which can be costly and time-consuming. Glasses are sold for two to three daily incomes of a worker, which changes with each country; in Brazil a daily income is higher than in Burkina Faso. The bending machine is given to the micro-opticians and profits go to them as well. With this money, they are able to enrich their lives and support their families, all while making a positive impact on the community. At the end of 2012, the Enactus Munich team contacted Aufmuth, who agreed to work with the team to develop their training skills and distribute the life-changing technology. The first trip the group took was to Rwanda. There, Aufmuth aided the Enactus students in training micro-opticians and selling glasses. 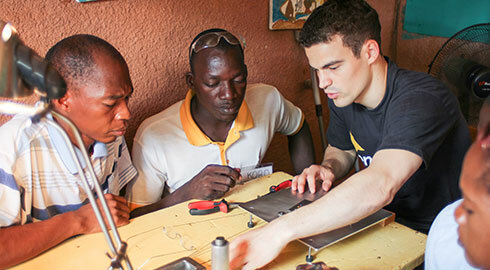 The second trip, to Burkina Faso, was the Enactus team’s first opportunity to train workers themselves. Jakob said, since the people of Burkina Faso speak French, one of the biggest challenges for the team was the language barrier. Despite this, they were able to train ten micro-opticians who have sold around 1,600 glasses since January 2014. There is now a project manager in Burkina Faso named François who has taken over the job of the Enactus team, bringing them one step closer to self-sustainability. Many of the people in this situation park cars or sell cell phones to earn a living, but they never get to do something that has a strong impact. Souleymane had little opportunity before OneDollarGlasses, and he is now a micro-optician who changes lives in his community. Since the team lives in Germany, they must carefully choose people who can work well without supervision who will also thrive as micro-opticians. They provide a partner organization in each country with a list of characteristics, and the partner chooses people to attend the two to three week training. Of the people who begin the training, around 30% are well-suited for the job. 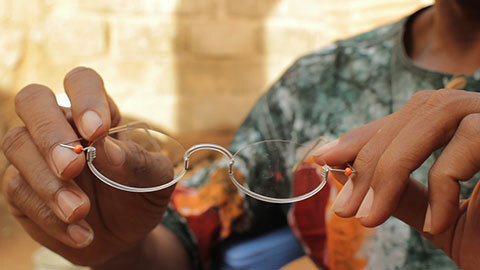 The Enactus Munich team has had a lot of luck in Burkina Faso because there are no laws and regulations around glasses. Other countries they work with, like Brazil, Rwanda and Bolivia, have restrictions that slow down the process. Despite this struggle, they have trained 15 micro-opticians in Rwanda, six in Brazil and six in Bolivia. Altogether, around 2,000 pairs of glasses have been sold. OneDollarGlasses is a project that could help people in many different countries, but with a limited budget, the team has to choose carefully. They are looking to expand to Sudan and Bangladesh in the near future. The different lifestyles of the people he works with have also changed his outlook on life. “I’m a lot happier since I’ve worked on this project,” he said. Many of the people he works with have only a house, a bed, a few shirts, and a motorcycle if they are extremely lucky. Yet, as Jakob puts it, “they are very content and appreciative of the things they have. What struck me most is that they were keen to share their limited possessions with us as if we were their family. Their gratitude and genuine joy for life was what impressed me the most and which to this date I’m carrying with me. The OneDollarGlasses project has been a great reminder for the entire Enactus Munich team to be grateful for what they have, and they are using this outlook to truly make the world a better place. Jakob added, “We are always looking for somebody who is interested, motivated and willing to put a lot of time in to work with us.” He hopes to connect with others who share the Enactus Munich vision and find a way to collaborate to improve the lives of even more people.